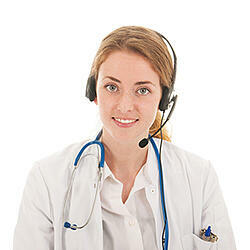 The best phone service for Healthcare Organizations. Custom built by sipVine! Healthcare providers are looking for a phone system and service to provide intelligent routing to best serve their patients depending upon their specific needs. Automated Attendant – Calls can be routed to the right department or individual based upon the need of the patient. Whether it is a billing, scheduling, prescription renewal, or a need to leave a message with a nurse or physician, an automated attendant can be programmed to meet the needs of the practice and patients. Special on-call or emergency routing routines can be customized for your practice. Hours of Operation Programming – sipVine can pre-program various auto-attendant or call routing patterns depending upon the hours of operation for the center or practice. A holiday schedule can also be programmed so that it treats the holiday as a non-working day and routes calls accordingly. Hunt Groups / ACD Queues – Depending upon the size of the organization, you may have certain departments where multiple employees can receive calls in a hunt group or queue. Cost control is a big factor in these applications. sipVine healthcare provider customers receive an upgrade of their communication features with a low-up-front investment and economical monthly service fee.